Yet another take on Ella Mai’s smash hit. Ella Mai's smash single "Boo'd Up" has already seen plenty of remixed versions in past weeks, with recent new verses coming from Quavo and Nicki Minaj. 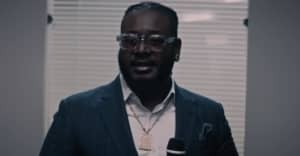 After teasing a remix this morning, T-Pain has jumped into the fray, releasing the full version of his "Boo'd Up" T-Mix. "Boo'd Up" has enjoyed a successful run in 2018, almost a year after it's initial release. The song recently topped YouTube's U.S. Top Songs chart, while also going platinum in the process.